Shelly Davis has a mission. She wants to educate our piano parents so that everyone can get the most out of piano lessons. Even the non-musical families. With the Piano Parent Podcast, Shelly is giving parents the information they need to support their child’s musical education. But, why did she decide to take on this subject? And, why a podcast? Shelly’s own studio is pretty well-aligned to my own way of thinking. She believes not in creating concert pianists, but in fostering flexible piano skills with functional theory. She brings this down to earth and straight-forward approach to the Piano Parent Podcast as well. 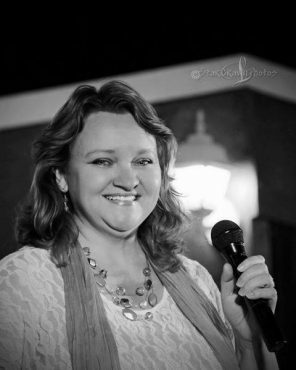 Take a listen to learn more about Shelly’s studio and her podcast, then go recommend her podcast to your piano parents. Please find a full transcript of this episode at the bottom of this page. Alternatively, click below to download a PDF. If you are an Inner Circle Member, you can find the full video and transcript in the Member Resources Area. Not a member? See below for how you can get $1o0 off your membership today. 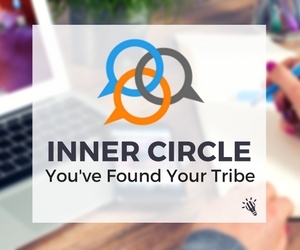 As a valued podcast listener, you’re eligible for a $100 discount on an annual Inner Circle Membership. This discount lasts for as long as you’re a member and whatever price you sign up for today is the price you’ll pay as long as you remain a member. Copy this coupon code to use when you see the “Coupon Code” box: TTTVPODCAST. There are a lot of podcasts you could be tuning into today, and I’m grateful that you’ve chosen mine. Being a full-time teacher myself, I know how busy teachers are and how much time, effort and passion we put into our students. Sometimes, the last thing we want to do in our time off is listen to more piano teaching stuff! So, well done for using this time for self-improvement. Whether you’re at the gym, on the bike or in the car, I know that you and your students will get lots out of what you learn in the long run. Just make sure you try out some of the ideas before they get lost in the business of your next lessons. If you enjoyed today’s show, please share it by using the social media buttons on the left of the page. Also, kindly consider taking the 60-seconds it takes to leave an honest review and rating for the podcast on iTunes. Reviews are extremely helpful when it comes to show’s ranking and you can bet that I read every single one of them personally. Lastly, don’t forget to subscribe to the podcast on iTunes, to get automatic updates every time a new episode goes live. Tim: Shelly, welcome to today's show. Shelly: Thank you, Tim. I have been listening to your podcast for quite a while now and I'm really excited to get to speak directly to you. Tim: Well, it's very cool to be chatting to another podcaster in the piano teaching, music education field. So we're gonna get on to that later and I'm gonna tell people about what you are doing. But before we get to the podcast side of things, tell us a little bit about your background and your current teaching. Shelly: Sure. I've been teaching about 27 years, and all of my students are normal, average, regular everyday kids. None of my students are gonna go on to become the next Van Cliburn or Lang Lang or anything like that, but I am giving them the tools and the things they need to be able to play for their church and play for school and family events. And, to me, that is what a successful music education is all about, where they can use their musical talents for the enjoyment of others. Tim: Absolutely. And so what are some of those things that you do in your teaching to teach them those skills? Shelly: Well, for example, this past summer, June through August, we're kind of on school break and all of that, but I still continue teaching in a relaxed schedule. And because it's more relaxed, we can do some more, you know, off the beaten path kind of things, and we used the linear circle of fifths of major keys, except we call it the magic wand, which is something that I'll go into in an episode of mine in a few weeks. But we use that to lay out all of the possibilities of major keys, what's the use of tonic. I show them how to use from the tonic, how to go to a dominant or a subdominant, and then use that formula to create their own lead sheets or their own compositions and we'll analyze a pop song and, "See, they only use three chords. We can do that. That's no big deal." And also, at the end of last term, after they had finished their spring recital preparation, something fun that we did was to do an audio recording of their recital piece, but then we also Googled and found all kinds of free images for them to connect to their recital piece, and we used iMovie on the iPad and they were really carefully listening to phrasing and, "Well, this part is really quiet, so I want a picture that illustrates that," and that's what we called it, "Illustrating their spring recital." And we uploaded it to YouTube, and so they could share a virtual recital with their friends and family. Tim: What a brilliant idea. I totally love it. You said linear circle of fifths before. Shelly: It's just all straightened out, yes. Tim: And why do you do that version rather than the circular one? Out of interest. Shelly: For me, I guess in my mind, it makes a little more sense to work on a linear plane, and we'll include numbers like...for our fourth graders, for example, for our state Music Teachers Association in Texas, we have a theory exam. Fourth graders are required to know the key of F through the key of E. I go ahead and teach them B, because those are all of the keys that don't include a sharp or a flat and a name. And so we'll do this sentence, "Fat cats go down alley seeding bacon," and then above that, I'll just have them write in numbers, one over the F, zero above the C, and then one through five above all of the others. And that's just a short little snapshot and we write it out across their paper. And that gives them information, the order of sharps, and if we start from B and go backwards, it's the order of flats. It's just a wealth of information and a really short, little concise thing. And for their theory test, there are, I would say, at least three or four questions that they can get the answers to from their magic wand. It's so easy. It's magical. Tim: There you go. I love hearing about what teachers do with the circle of fifths. Because I think as you probably know, I'm a big exponent of using it and teaching a lot, all the time. I use it pretty much every lesson with every student because it is so foundational to an understanding of music. So it's great to hear how you are using it. Now, I read on your website a sentence the I really enjoyed, which was, "In essence," this is you speaking, "In essence, I am consciously working myself out of a job." This is talking about self-teaching. What do you mean by this, and should we all be trying to do the same thing? Shelly: It's the whole philosophy of you give a man a fish and he eats for one meal, you teach a man to fish and he eats for a lifetime. And my goal with my students is to give them a lifetime of musical enjoyment. And I'll joke with my students a lot and I'll tell them, "You do not want me sitting next to you when you're 65 years old and I'm 100 years and don't have any teeth anymore. You don't want me telling you how to play this piece of music. You wanna be able to figure it out on your own." And so how this looks in my studio from a week to week basis is that I will assign them what we call a "for sure piece". This is your assignment, you must work on this, but I'll say, "You know, everything that we talked about for this "for sure piece" is also included in the next piece. And if you wanted to, you don't have to, the choice is completely yours, but as a bonus, you could work on this next piece." And, of course, you and I know that we're teaching them to analyze and counter-dissect the music and decipher everything on their own. And they'll come back the next week, and if they did work on their bonus piece, then they're so proud of themselves and, of course, I cheer them on, and it's my evil plan. Tim: That's great. It's making students think more than we just continually tell them, and I believe in that as well. It's great. Asking them questions, making them a little uncomfortable, not giving them all the answers, I think, is crucial. Shelly: Something else that we do that kind of is along these lines, I call it getting SMART with their music. Once they learn a piece, I ask them to learn as it's written, try to understand what the composer had in mind, originally, but then if you think of something that you might wanna do differently or if you had been the composer, how would you have solved the end of this phrase or what would you have changed? And that's an acronym, the S-M-A-R-T, where they could change the style, or the melody, or the articulations, or the rhythm, or even just the tempo, and making those small changes gives them an opportunity to kind of think and see how they might change this up a little bit. Tim: Do you find students sometimes get frustrated when you just don't tell them what do and things like that? My students do. Shelly: Yes, there are a lot awkward silences. I don't know. Sometimes they'll be playing along and they'll accidentally, you know, play something wrong and we'll laugh and say, "Hey, I kinda like the way that sounds. We'll have to remember to do it that way later after how we learn how it should be." Tim: Accidental brilliance, I think I heard that called somewhere. It's great when students are improvising. And you have to really bring attention to it because they will just skip over it, assuming it's wrong, and often it's better, isn't it? It's amazing. Shelly: I agree, yes. Happy accidents, I call them. Tim: All right. Let's talk a little bit about your podcast. So, you're the ...what we say, the founder, I guess, of the Piano Parent Podcast. I love your alliterative title. Tell me about why you decided to start a podcast. Shelly: Well, I feel like this has kinda been a journey for myself for probably several months to a year. Going back in my podcast memory, I think Mario Ajero might have been the first person that planted a seed of...he calls them "flipped listens" and that may not be his own term, but the idea where a teacher will record a video or a concept that they're trying to teach, something that they teach often, they'll do a video of that and then upload it onto YouTube or on their studio website, and that gives their parents and their students a chance to come back and refer to that video often. And I had done something similar to that with each of my individual students. If they're working on a finger exercise or something, I might record their hands and send the recording to their parents, so we have that to reference, you know, during the week. But it was just here and there with on a case by case basis with the student. And then I also listened to your episode 13 with Hugh Sung, and the two of you were talking about the future of piano teaching and...what was the word he used? Asynchronistic pedagogy or something? Tim: Yeah, it's a big mouthful of, isn't it? Asynchronous pedagogy, yeah. Shelly: That's the word, yes. And I was a little overwhelmed with some of the things that he was talking about, all the wonderful videos that he has available for students in the online teaching that he does. But as he continued talking in the episode, he was so generous and mentioned how every teacher has something to offer, and what might connect with one student with a teacher might not connect with that same student with a different teacher. It just gave me confidence as a teacher that, well, I do have some things to contribute and things that I would be interested in sharing. Then there was also another podcast that I will talk to you a little bit more later on that kind of offers more of a step-by-step way of how to produce a podcast, and I just decided I'm dumb enough to give it a try and what's the worst that could happen? Tim: Good for you. Well, look, for those who listen to this show and might perhaps not listen to many others, the podcasting world has literally exploded in the last two to five years, I guess. And it's becoming around the world, particularly in online business and marketing and, in fact, in life, in everything. There's a podcast for just about everything and, oftentimes, multiple ones. So I think you're on the right...you know, you're taking the right move here, because it's such a great way to absorb content, I find. Tim: Yeah, the thing I like about it is that you can... It's one of the only forms of content that you can absorb while you're doing something else. Tim: And I try and encourage my listeners and viewers that, you know, while you can sit down and watch the interview, totally cool, and sometimes that's great, depending on what we're doing. Most oftentimes, I listen to podcasts while I'm in the car, because that's the best time to do it or while you're walking or at the gym. Do you find you've had to explain the best way to use podcast and even what podcast are to some of the parents who are listening to your show? Shelly: To an extent, yes, but I agree with you. I think it is gaining more traction and people are starting to listen to it more, and exactly like you said, where it's something that you can multitask and do while you're doing other things. And I'll be honest with you, I have made it available. I have made my parents in my studio, I have made them aware that it exists, but I'm not...I guess I'm not going behind them and, "Have you listened to this episode?" I'm hoping that once I have even more content available, then I can...for example, the magic wand that I talked about earlier, there's a podcast coming out with that soon, and I want to be able to send that link to parents when they're children are studying for the test and all of that, but I agree with you. Anymore, it's like Netflix for radio, except, you know, you can choose and it's information on demand and anything that you can imagine, somebody has a podcast on it. Tim: Yup, and probably many of them. Tim: It's almost overwhelming, it's like the App Store. Tim: So, look, while your podcast isn't designed for teachers, specifically, I wanted to talk to you about it because it's, obviously, a fantastic resource for us through parents to our students in some ways. So what are some of the topics you've already covered and how many episodes have you done so far? Shelly: Okay. I agree it's not designed for teachers, but teachers are definitely listening and it's been kinda funny. Some teachers have said, "I'm so glad that you did this podcast and I could send it to a parent, and it's not me saying that. I'm not the bad guy. You get to be the bad guy and I'm fine with that." I kinda looked at my analytics and I've released 12 podcasts so far. Tim: I haven't yet, no. Shelly: ...about the alphabet stickers, that if you Google music alphabets, oh, it's so wonderful. Put these stickers on your piano keys and it's so easy to find the keys. Well, a lot of teachers, that is the pet peeve for them, and an unsuspecting piano parent, thinking they're helping, might order those. And so if they listened to my podcast, they're gonna be wiser as far as that goes. Another popular podcast has been episode five, where I compare acoustic pianos and digital keyboards and kind of the pros and cons of either of those. Tim: Brilliant. The whole helping teachers get through to parents who are trying sometimes to do their best but really don't quite know what they're doing. I think that is a great...your podcast would be a great source of information for that. I can see exactly what you mean, and there's many other things that parents will do. I'm a huge exponent of...for teaching reading of the intervallic approach and not naming every good boy deserves whatever that kind of thing. Tim: ...and that's why it's really great that you're doing this. So have you got some....? We've talked about the stretched out circle of fifths episode plan. Have you got a couple of other ones up your sleeve that might of interest to teachers who are listening for their parents? Tim: It depends how far and advanced you record, too. Tim: Because I tend to do...I try and give a month ahead if I can, but I don't always. Sometimes I'm chasing my tail. Shelly: Okay, I'm glad to hear that. Over the summer, I had hoped to record a whole year's worth. Because I know during the school year, I am a busy girl and I didn't want it to be neglected or be inconsistent or anything like that. I do have the magic wand coming out soon. Every 10th episode will be a list of 10 things. Episode 10 was a list of 10 ways to encourage a love of music, and just, you know, regular, normal things that probably a lot of parents already do, and hopefully they can acknowledge that and recognize the, "Hey, we're on the right track." Episode 20 will be 10 reasons to maintain a playlist for their students, once they learn a piece, 10 reasons why they should maintain that piece. Shelly: Let’s get going, and I've got some personal stories in that episode of my own traumatic experiences when I didn't have my music but there was a piano and somebody knew I knew how to play, and that was stuck. Of course, I'm also excited, I'll be having teacher interviews and also parent interviews coming in the future, and I'm particularly excited about both of those. I know I, as a teacher, learn a lot of things just from listening to other teachers and how they operate things in their studio, and maybe I agree with it and maybe I don't but I still feel like I learn and I grow from hearing that information. And I think the same will be true for piano parents. If they hear other parents are in the same struggle and it's hard to get their child motivated to practice, then it's not just your child and they don't have an allergy for piano. They're just being a kid. So I hope that these kinds of things will be helpful for teachers and parents. Tim: I think knowing what teachers are going through as well and hearing that we all struggle with the same things, I imagine, for parents, it would be identical. Yeah, you're not the only parent that has to force your child who loves music and loves piano to practice all the time. Tim: You know? And it's okay to tell them to go and sit down at the piano. So I think that's lots of information is gonna be fantastic. The interviews, I really look forward to hearing some of the interviews. Tim: Did you find that the podcasting medium was easy to get into, or was it harder than expected? Shelly: Well, as I was listening to other people's podcast, the one in particular that was kind of more of a...it was more of a business class, actually, for life coaches. And listening to her, I don't know of this happens with you, when you start listening to one podcast, they might reference another podcast and so then you go listen to them, and then the whole rabbit trail that you follow. Shelly: And then a couple of those... Oh, good. I'm glad that's not only me. There are a couple of podcasting tutorials that I was able to listen to, and I would have the video, a YouTube tutorial, open on one window on my computer and I would listen and pause and then go over to another open window in my computer and do whatever that thing was that they had just described. So, I think, because I was on my summer hiatus, I had a little more time to devote to that, but then also the step-by-step guide that someone else had produced made it really easy, too. Tim: Yeah, there's an amazing amount of information out there. Are you finding...? You obviously didn't quite get to record a year's worth of content, which, to be honest, I think is probably a better thing because you'll want to respond to what's coming up and, you know, what changes during the year. And as we said, just before you hit record, things change in the world apps, you know, disappear or change their structure. Tim: That might have been a little bit advantageous, I think. Shelly: I agree. I learned that the hard way. Tim: Yeah. But, great, though. I set at least my holiday time to record as much as I can. Because, as you say, once you're teaching, it becomes much more difficult. Do you have anyone helping you with editing and uploading and things at this stage? Shelly: No, it's all me and it's probably obvious that it's all me. Tim: Oh, not at all. It's great. Tim: Yeah, that's how everyone started, yeah. Tim: To be honest, you don't need really any more than that to get started. So good. I'm just really impressed that you've filled an opening, you've seen the need, and you've gone, "What the hell? I'm gonna try it out." Shelly: Yes, thank you. Good. Tim: I think it's great, Shelly. So, on podcasts, have you got any favorites that might be of interest to other teachers or perhaps they're even business ones or something like that? Shelly: Actually, that's probably primarily what I've been listening to. When I first started listening to podcasts, I was listening to Bible teaching and Bible study and things like that, and then any kinds of interests that I have, history, piano, and parenting. I have four children, so I would listen to a podcast about that. As I mentioned, before I would listen to Mario Ajero, he was probably one of the first piano teachers I became aware of that did a podcast and he's kinda moved on to different things now. And then Andrea and Trevor Dale have "Teach Piano Today." They've got some great podcast episodes. And again I would love if they would have time to produce more and be a little more consistent with that part of their business. I know they're really busy. 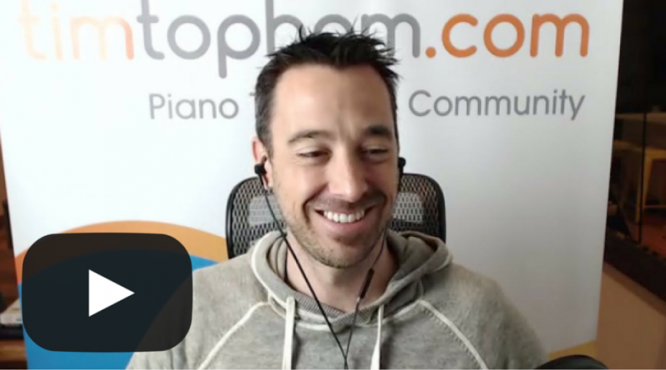 And, of course, you've become the front runner, the lead person with content, and I really appreciate that you have to offer to piano teachers. Shelly: ...with "Smart Passive." I listen to him a lot and I like his smaller episode, a smaller podcast called "Ask Pat." And each of the episodes are less than 10 minutes and it's usually an online business or website or email type of question, and I can consume those in small bits, which is nice. And then, of course, John Lee Dumas has "Entrepreneur on Fire." And I guess what he does, for anyone that's not familiar, is he interviews entrepreneurs every day, seven days a week. Tim: Do you find he's a bit full on? I kinda listen to him because he's just...I don't know. I just prefer a more slightly more chilled out personality, I think. Shelly: I was gonna say. He and Pat both have the online podcast tutorials, but Pat's was the one that was a better connection for me. He's a little more laid back. Tim: That's the one I did, too. Shelly: I'm glad to hear that. Pat would be so proud of the two of us. Tim: Yeah, that's right. And Pat Flynn, if you're anyone that's listening, if you aren't familiar with his podcasts and you are interested in podcast and business for that matter, he's one of the best in the world or most recognized brands for ways to create passive income through online business. And he's been a great source of information for me in all the work that I do online actually, with my membership, with the podcast, the blog. So if you are interested in any of this kind of online business blogging, that kind of stuff, he's a great podcast. It's called the "Smart Passive Income" podcast, SPI, isn't it? Tim: Yeah. Now, that's great. Well, we're listening to very similar ones. What were you gonna say? Shelly: Well, I was just gonna say, for teachers, the podcast that I've kind of referenced a couple of times already today that really got me at least thinking outside my own little studio box is produced by Brooke Castillo, and she is a life coach and she has... I listened to her life coach podcast just for my own personal interest and then I discovered that she has a separate podcast called "How to be a Life Coach." And I would very much recommend that to teachers, whether they're interested in having any kind of online business presence at all, I think this would be a great source of information for teachers. She goes at it from the approach of setting up your own life coach practice, but really in a sense, aren't we as teachers life coaches? We're training our students to play music and all of that, of course, but I think we're coaching them in life lessons with self-discipline and time management and then, of course, very often, we either end up having to train our parents as well. "Your duty to pay me on time, your duty to keep this.. No, it's not okay to cancel every other week." So we're coaching our parents almost in, you know, a parenting sense. So just a few things that she covers. Her podcast, the "How to be a Life Coach," it's only a 34 episodes, so it's not an ongoing series. It's complete. But she talks about things like how to set up shop, a step-by- step guide for setting up a website, who to contact for hosting your website, financial advice, having a separate business account, even creating a program. You know, studios wanna have whatever camps or group lessons or things like that, and she talks about that. Again, it's from a life coaching standpoint, but I think so much of it as adaptable to our line of work. I feel like it's business class designed for independent teachers, independent coaches, and us as teachers. Tim: Do you find that you get by watching other people's podcast or listening to other people's podcast, you get ideas for your own in ways to do things or questions to ask and those sorts of things? Shelly: Yes, yes, I do. And, of course, as a teacher, our antennae are always up. We're always trying to find nuggets and things that will connect with our students and things that will help them connect with a new concept. And I find that the same is true for me now with the podcast, that I'm always kind of listening and being aware of things that might translate well into the piano teaching world that I could share with my piano parents. Tim: And with your content, do you find that when parents ask you questions or you hear things that students are saying that that gives you sparks for what you can relay to an episode of that? Shelly: It does, but I also wanna be careful. I don't want the parents and the families in my studio to think that they are my guinea pigs or that I'm running a laboratory and I can't wait for them slip out. Tim: I wouldn't mind that. My kids are all my lab rats. Shelly: And the same goes, too, to, you know, you and I belong to a couple of different online forums for piano teachers on Facebook and such, and I know that that is a safe place for parents...sorry, teachers, to be able to go and let their hair down and just kinda vent their frustrations. And I would never betray a confidence of a teacher, but if I see a general topic that kinda keeps floating to this surface, then I might offer a podcast with my own point of view on that, but I will certainly respect the privacy of the teachers that share online. And then my own piano parents, I don't want to air their dirty laundry. Tim: Fair enough. All right, so we'll start wrapping it up. What advice would give you to any teachers who are listening, who are like you were 6 to 12 months ago and thinking, "Now, maybe I've got some things I could share with people and a podcast would be a good way to go." What are some of the things that you've learned or some top tips for them? Shelly: I will do it. Don't hesitate. Just try. And the things that I keep hearing, Pat Flynn, John Lee Dumas, and Hugh Sung, is you have something to say. Everyone has a story to share and share it. It doesn't have to be perfect, and if you wait for the perfect moment, you'll never find it. Shelly: And just hold your nose and jump in and, like you said, you can learn anything online. YouTube and iTunes, you can Google anything anymore and find a step-by-step guide. The confidence building thing for me was that I would search on YouTube and listen to other podcasts and I would say, "I could do it so much better than that. They've got something out there but I think I could do better." And so I would say, jump in. Tim: Give it a shot. Google it. Shelly: Give it a go. Tim: YouTube how to do it and just try, and that's how I got started as well. I just thought, "This is working in other industries, let's do it for piano teaching." Tim: So there you go. It's been awesome chatting to you, Shelly. I love your philosophy of teaching. It's really well aligned with what I view as being important, and I'm really pleased with what you've been doing with the podcast as well. So, congratulations and I look forward to hearing more. Shelly: Thank you so much. Thank you. Tim: Now, is there anything we've forgotten to cover? Oh, you better tell everyone where to find your podcast. Shelly: Definitely. The website is easy, it's just pianoparentpodcast.com, and all of the episodes are right there from the website. And you can go to iTunes and search for the podcast there. And I have created a Facebook group for the Piano Parent Podcast and I hope that that will soon someday become a safe place for parent can do and share ideas and share frustrations, be a safe place that they can kind of let their hair down, too. So I would welcome everybody to come in and join in on the group. Tim: Fantastic. Shelly, we're starting to lose your call quality, so I think we'll wrap it out there. Thank you very much for your time and we look forward to hearing your next episode. Shelly: Thank you so much, Tim. This has been exciting for me. So thank you so much. Tim: Brilliant. Alright, see you later. What would you like your piano parents to know? Are the parents in your studio musical? Do they understand and support you as a teacher? What episodes do you wish they would listen to from the Piano Parent Podcast?